Aging should be a transition in life that comes with wisdom, grand kids, and an occasional bingo game surrounded by the laughter of family celebrating in your backyard. Yet in the United States alone, it is estimated that in any given year 3.5 million people are experiencing homelessness (Shelton, Taylor, Bonner, & van den Bree, 2009). Homelessness is a depressing condition that adversely affects positive aging. With a deeper understanding of barriers that negatively influence aging, older males can positively disrupt aging. Homeless individuals can either be sheltered (frequents homeless shelters) or unsheltered (living outside in cars, parks or abandoned buildings). The unsheltered face more extreme negative consequences than homeless that use sheltering facilities. The unsheltered have higher rates of mental illness, substance abuse, more severe physical ailments, higher incarceration, hospitalization and suicide rates (Irwin, LaGory, Ritchey, & Fitzpatrick, 2008). Additionally, the difficulties and complexities of being an older unsheltered male are slowly increasing due to personal barriers, bureaucratic red tape, complicated family relationships, and a desire to help their families due to pride. According to Culhane, Metraux, Byrne, Stino, and Bainbridge (2013), the 2000 United States Census Bureau enumeration data illustrated that middle aged baby boomers “born between 1959-1961 faced a higher risk of becoming homeless than other age groups” (p. 1). As such, these homeless individuals have different needs and will require specific types of mental and health care compared to younger homeless individuals. Culhane et al. (2013) furthered that in light of the poorer health of homeless individuals, coupled with the aging process, demands will increase for health care services, nursing homes, other long term care facilities, and the social welfare system. These are areas of concern that need to be addressed. 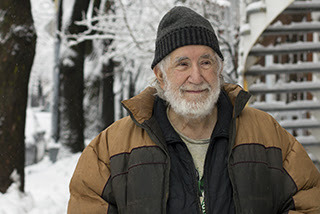 For older males, homeless organizations can retool their outreach efforts to better serve this population and decrease the number of unsheltered men by implementing alternative types of shelters for working homeless, those with disabilities, and reformed felons. These efforts can lower the number of services needed to adequately care for aging unsheltered males. In my community outreach work, I have consistently increased awareness about vulnerable populations and individuals who are economically disadvantaged. As an advocate, I seek to challenge the misconceptions regarding society’s perception about poverty and homelessness. As a Psychologist, I believe in bringing awareness to the aging homeless population which is silently stigmatized in various cultures through lack of education, inadequate funding, and minimal resources. I implore members of society to recognize that there is no difference between the man who is employed and the unsheltered man. At the most fundamental level, they both have basic needs, desire to utilize their skills and provide for their families. The only difference is one man lacks the resources to meet his needs. Philipps (2012) provided an explanation of how the inability to perform the role determined for men (i.e. breadwinner) can have devastating effects on the emotional wellbeing and esteem of homeless men. It was noted that “the inability to live up to these standards can cause psychological distress” (p. 11). Additionally, desolation about their masculinity may occur because these homeless men are unable to take care of their families and loved ones. Given historical gender roles and expectations, it is not surprising that the inability of men to provide for their families can lead them to believe that being unsheltered is a better option, than being taken care of by their families. Streamlining the process of securing necessary resources such as, obtaining a birth certificate, housing or shelter, food stamps, identification, food, and social security benefits. Better job opportunities that enable older men to utilize their skills and talents despite lacking the education. More opportunities for unsheltered men to further their education. Support networks for unsheltered men who don’t have supportive relatives or living relatives. Support groups for unsheltered men who want to provide for their families, but due to pride they are unable to recognize alternative options for helping such as, aiding with grandchildren, supporting their children emotionally, and being a present participant in their family members’ lives. More effective methods of assisting unsheltered felons with convictions that date 10 years or older. According to the Homeless Resource Network (2009), most people who are experiencing homelessness have a desire to work and 44% worked for some wage within 2009. Given this statistic it is evident that higher wages and more suitable employment opportunities are necessary to level the playing field. Other studies have shown that with the proper resources in place that aging unsheltered men can thrive successfully. Adapting to living unsheltered is never the goal, but rather a way of survival. Through educating ourselves about societal misconceptions, we can truly eradicate homelessness. Culhane, D. P., Metraux, S., Byrne, T., Stino, M., & Bainbridge, J. (2013). The age structure of contemporary homelessness: evidence and implications for public policy. Analyses of Social Issues and Public Policy, 13(1), 228-244.